4 Ways You Can Dominate Holiday Shopping | SuperMoney! In the last few years, Black Friday and Cyber Monday have gone from separate and distinct shopping days to becoming the bookends of a very long holiday shopping weekend. But are either of these overly hyped days still worth waiting for, or can you get deeply discounted HDTVs and popular toys during other times of the year, like the also well-hyped after Christmas sales? Take a few moments to craft your own list for Santa. Write out items that you want to purchase as gifts or for yourself this holiday season, and tack on the lists your kids and spouse wrote. Then use various shopping apps to keep an eye on when the prices drop. Shopping online is certainly easy, but that also makes it very easy to overspend, so use these apps to keep your budget in check. Once your list is complete, don’t scrap it. Post it somewhere noticeable like on your computer monitor, in a monthly planner or on the fridge. With this gift list somewhere visible, you’ll have the items at the top of your mind and will be more alert for relevant in-store sales way before Black Friday rolls around. You can also make a digital list on your phone so you’ll always have it with you every time you step into a store or mall. Certain shopping apps will actually alert you when you walk into a store (or are near the store) that has a sale or promotion going on. Let others have their weekend of consumer madness in November. If you can hang on till early December, this is actually a very smart time to grab excellent in store deals, according to the experts. 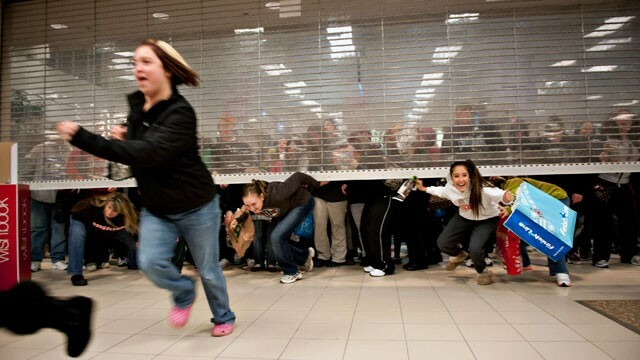 In fact, statistics show that during the first few days of December, a higher percentage of items can be found on sale (in stores) than on Black Friday or any other time period in November or December. If you don’t celebrate Christmas or you just want to gift yourself something nice and are willing to wait it out for the absolute best price, then the after Christmas sales are for you. Just try to avoid the first few days after the 25th when stores will be packed with people returning and exchanging items. Plus the best sales, according to surveys over the past few years, tend to be on December 28 and 29, with some major sales ending on December 31, and prices rising again during the advertised New Year’s Day “sales”. A sale isn’t always really going to save you money. Stores sometimes raise prices just before the sale or promotion period to make the sale price look like a great deal. A shopping app will help you keep tabs on the highs and lows of the items on your shopping list. All you really have to do is keep your shopping list at the ready and be a little patient, and you can still find excellent buys but avoid the Black Friday parking lot crowds at 4 a.m. and the stress of fighting over the last half-priced XBox One.